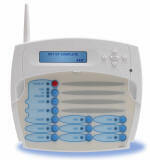 The Aqua Logic® Pool/Spa automation control is designed with your ease and comfort in mind. Now you can have full control of all the functions of your pool and have all the benefits of an Aqua Rite® chlorine generator at the touch of a button. With the Aqua Logic® you can control your filtering times, pool lights, heater and all the other equipment around the pool, all these from inside your house. Now you can heat up your spa and turn on the jets before you even step outside. 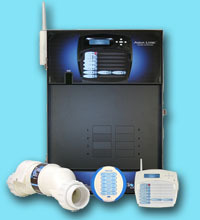 The Aqua Logic® offers true convenience and clarity at an affordable price. The reliability and performance of the Aqua Logic® is backed by the strongest warranty in the industry and is UL listed for safety. Website Design by Renix Electronics, Inc.